Free tax-prep services for NYCHA residents will be available at 22 sites this year. New York City Housing Authority residents looking for free tax-prep services now have twice as many locations to choose from. DNAinfo New York has learned that NYCHA will nearly double the number of sites offering assistance from IRS-certified tax preparers to residents earning less than $54,000 a year. There will be 22 community and employment centers around the five boroughs hosting the preparers, up from 13 last year, according to a NYCHA statement expected to be released Wednesday. Tax-prep services available at the centers are offered through the IRS' Virtual Volunteer Income Tax Assistance (VITA) program, which helps low-income New Yorkers quickly identify the tax refunds and credits they qualify for, without paying unnecessary fees. The volunteer tax preparers are recruited and staffed by the Food Bank of New York City. More than 1,400 city residents using VITA services at NYCHA sites received over $2 million in refunds during the 2016 tax season, Housing Authority CEO Shola Olatoye said in a statement. Tax filers who visit one of this year's 22 tax-prep sites must complete intake forms and submit their tax documents electronically to a volunteer tax preparer working remotely. The process, which takes no longer than 30 minutes, allows filers to leave the site and return when their return is ready for submission to the IRS. Investments from Citi Community Development and the nonprofit Fund for Public Housing are financing the expansion. 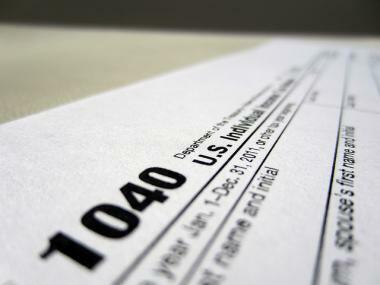 You can find a full list of free tax-prep sites here.